My second doll is Frank the clog maker. Walkleys is a true must visit place if you’re ever in the area, but if not, they deliver. Imagine having an amazing pair of shoes made just for your feet for the cost of a pair of trainers. 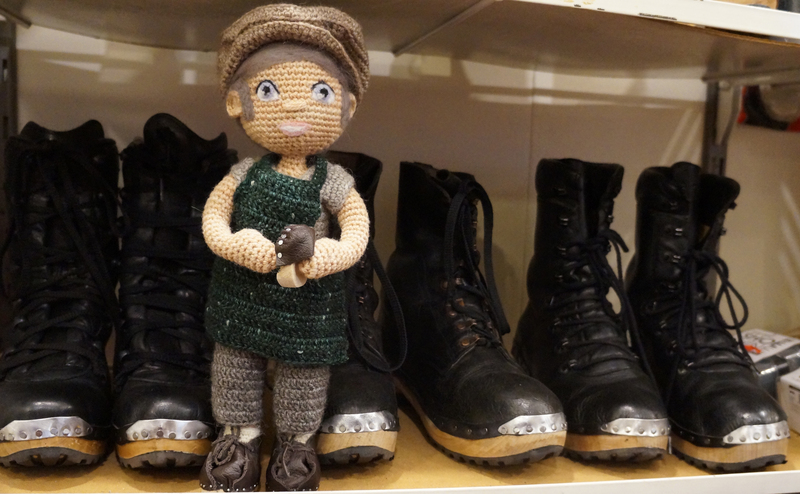 But having a pair of locally made shoes from the Craftsmen and women at Walkleys is perhaps one of the highlights of this project, the doll is named after Frank Walkley who started the company in 1946. Yes, I am a big fan! I managed to carve some small clogs for the dolls feet and well, not perfectly, but the fit, managed to make a functioning shoe. He’s also holding his next clog in progress.